Asia is a growing pool of gamers. Most of which have started since childhood as an after school activity. There was the Gameboy to the PSP. It then evolved to PC games in college with friends in computer shops as a way to pass the time. The list of games continually grows and they eventually hear about a new emerging gaming world of Crypto Gaming. It sounds cool but people don’t know where to start. Let us help you with that. We are all familiar at the 2017 was the giant way for cryptocurrency as the rates for Bitcoin significantly increased. There was also the gaining and losing of many investors in the cryptocurrency stocks. It’s a field that seems risky and unpredictable as it involves extremes of either winning everything or keeping nothing. It’s a whole process that involves analytical strategies and statistical intuition. It seems familiar and that’s because these are things you also do when you’re in a casino or playing computer games. Since then, there have been a steady growth of cryptocurrency casinos all over the web. They have developed to be noticeable with their online competitors. Why? It may be the respect to anonymity or the easy access along with the high fluctuation in cryptocurrency that proves this is something that will be here for the long run. A non-casino related crypto entertainment emerged in 2017 which was Cryptokitties mania. It’s an investment game which had a significantly high transaction volume of 11 million dollars upon its publishing. The first kitty was sold for 247 ETH coins which can be equated to 247,ooo USD. You are also free to buy the cheapest one for less than a dollar which showcases how anyone can take part. 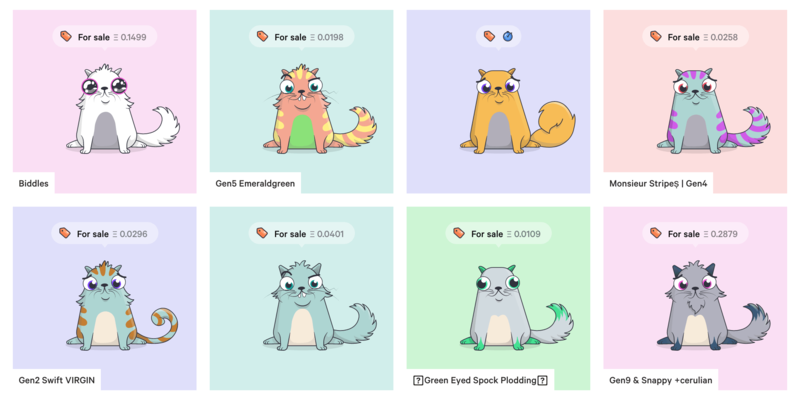 The game is an investment project put into a situation of breeding digital kitties. Every player has to create their own game strategy to cross breed the kitties so that they will turn into a successful line. Every virtual kitty created has an original and unique set of characteristics which cannot be faked according to blockchain rules. These kitties are immortal and cannot be duplicated, they just mate and multiply. From that point, you can sell the cats or buy new ones. In between games, there has been a new addition wherein the people can do token swaps. This is a game changer as blockchain will make use of interoperability. In the past, games and the items in them have been closed to the game itself. This means that whatever accomplishments and items you have in one game cannot be transferred or used in another. A major benefit when you asset storage is in-game due to decentralized ledgers (ex. blockchain) is that ability to use the assests along different and unrelated environments like games made by different publishers. One prime example of this is the CryptoKitties x Gods Unchained event. For two weeks, the gamers in CryptoKitty can buy a limited edition card pack that can give the player a rare and tradable talisman that will represent their cat as a statue in Gods Unchained. Every Kitty can power one talisman but people can use as many different Kitties as they prefer. This was a good marketing move that succeeded every step of the way. As you can see, the future of cryptogaming is an exciting journey that has so much more to come. 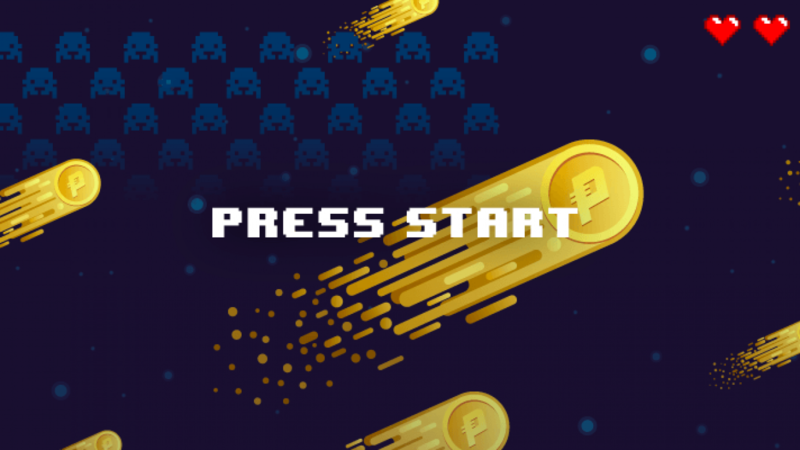 It has created a seamless fusion between the fun of gaming and the technical side of cryptocurrency. This is why the amount of people getting into it are just continuing to increase and we don’t see it stopping in the near future. This is why it’s a great time to create your own game. There is still so much room for creators to enter the crypto space and so much ideas to be executed. If you’re interested, you can check out BlockDevs Asia over at Meetup. It’s a great place to get started on your ideas as you are able to help one another out in building crypto games. You can also get into other blockchain related discussions with people that are experienced making it a great environment for learning. There is so much potential in the Gaming Industry especially with Digital Marketing. Meanwhile, if you want to get to know more about blockchain’s value, you can check out more info here. At the same time, you can always talk to us if you’re interested in digitally transforming your brand in what ever way you think of.